Warning: if the thought of flying already twists your stomach into knots, do yourself a favor and look away now. Captured by Youtube user Aled Rhys Jones, a video showing the dramatic moment an entire plane gets struck by lightning is sweeping the internet. 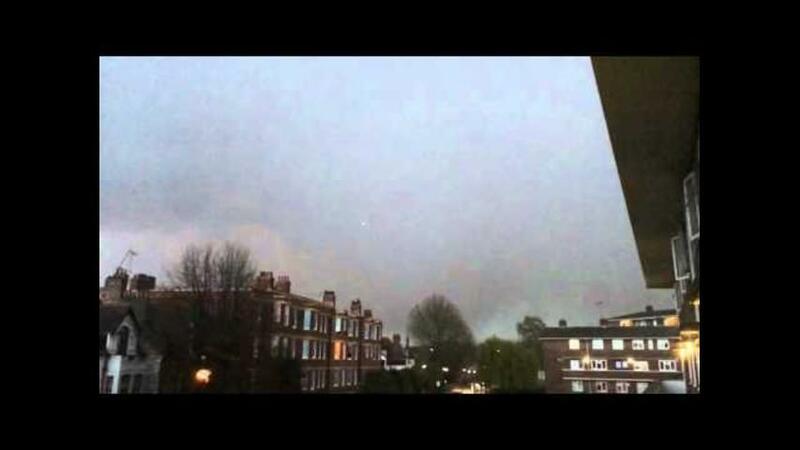 Shot on Wednesday, April 27, the terrifying clip shows a plane near London's Heathrow Airport get zapped by a massive bolt, illuminating the outline of the airbus for everyone on the ground to see. A passenger on the British Airways flight from Prague to London told The Evening Standard she heard a "huge light and crack." According to sources, at least three planes in the London area were hit by lightning on the same day. British Airways said that the flight in question, BA857, departed from Prague and landed safely.